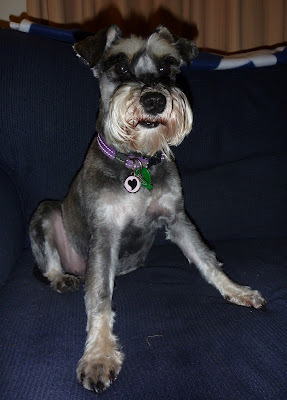 Oh poor Sasha, your mum should know there is STYLE required for a true schnauzer cut!!! What is she instructin' the groomer to do!!!!!!! Number 1 all over!!! They did take the razor to you....oh well, guess you won't get those annoying bindiis in your coat when you go exploring. Holy moly, they made you almost naked! You still look lovely, though.